phpVirtualBox home page has been moved from google to sourceforge it is in http://sourceforge.net/projects/phpvirtualbox/files/latest/download. You will need to install VirtualBox since it is just a front end. before you can use this app. Refer to my guide on how you can install vbox. 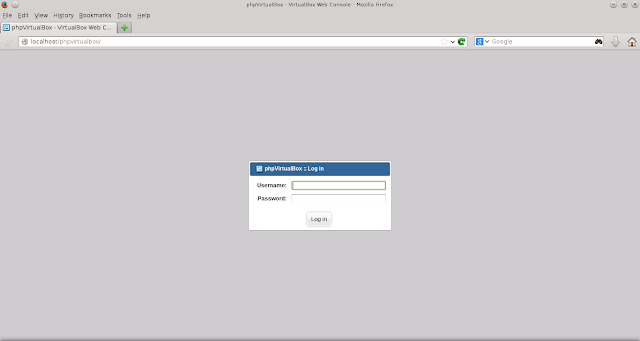 After you have installed vbox you will install a web server. We will use apache2 as an example. You can either use yast2 software management to install the lamp_server pattern and some php packages or use our friend zypper. In this setup i choose to install to a different directory than /srv/www/htdocs. So just in case something unrecoverable happens :P in my system i will not delete the directory where phpvirtuablox resides. Here i choose /data/apache2. You can put it any where you like just replace the config entry in apache2. The only thing you need to replace to meet your setup is /data/apache2 the rest is as-is. Unpack that zip file using unzip into /data/apache2. Edit that config.php file and put the name of the user which uses virtualbox and the corresponding line and do it like this. Create an file called virtualbox in /etc/default and put something like this. Set permissions as root run the following commands. Edit that config.php file, un comment out the following. For the deprecated system V.
Download the vboxinit for SuSE. Enable the init scripts at boot time. Restart the init scripts as root run the following. Download the systemd version for SuSE. inside /usr/lib/systemd/system and add the entry below: Replace " username " with the user that belongs to the vboxusers group. If you choose to save the systemd-vboxinit script in another path and not /usr/lib/systemd then you need to adjust the following entry. Start that newly created unit. Enable the service at boot time. After a log in you can add a user that can handle your vms. 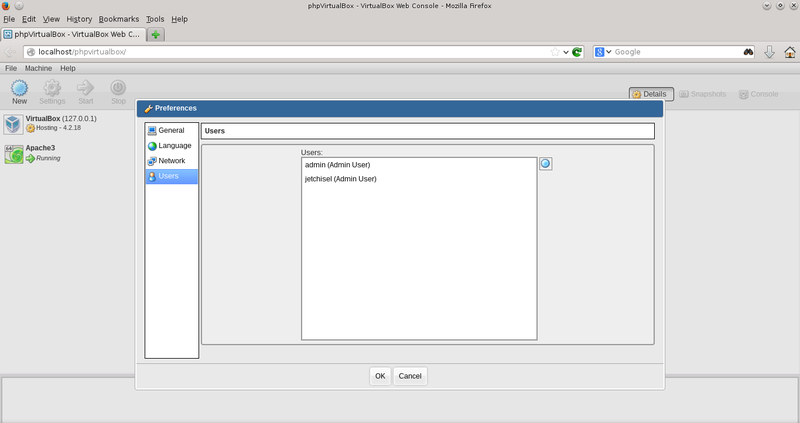 Configure vms in phpvirtualbox's graphical menu. Settings --> General --> Basic --> "StartupMode --> Automatic"
An example of running vms at boot. Checking the status of your unit after booting. 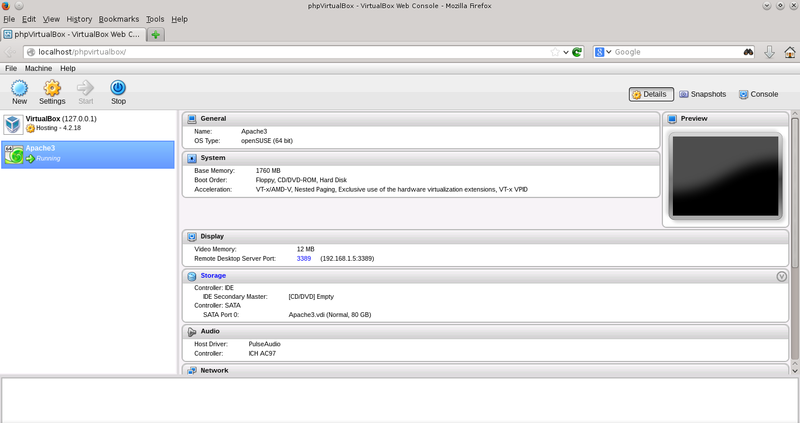 You can search phpvirtualbox for an rpm package of this in OBS. 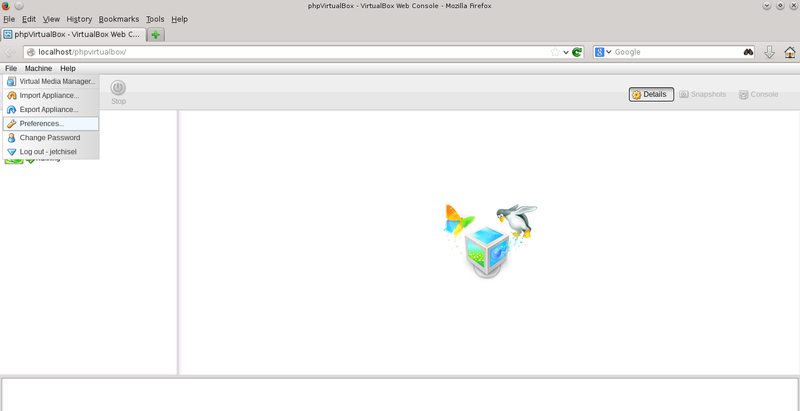 Kudos to Mr. Ian Moore the author of phpvirtuabox.